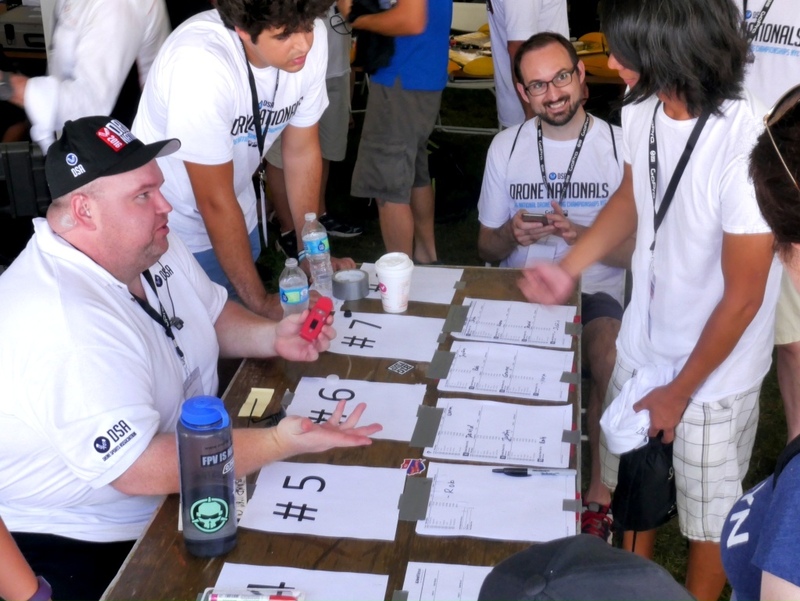 I attended the 2016 Drone Nationals at Governor’s Island, New York City, and was treated to really fun event. 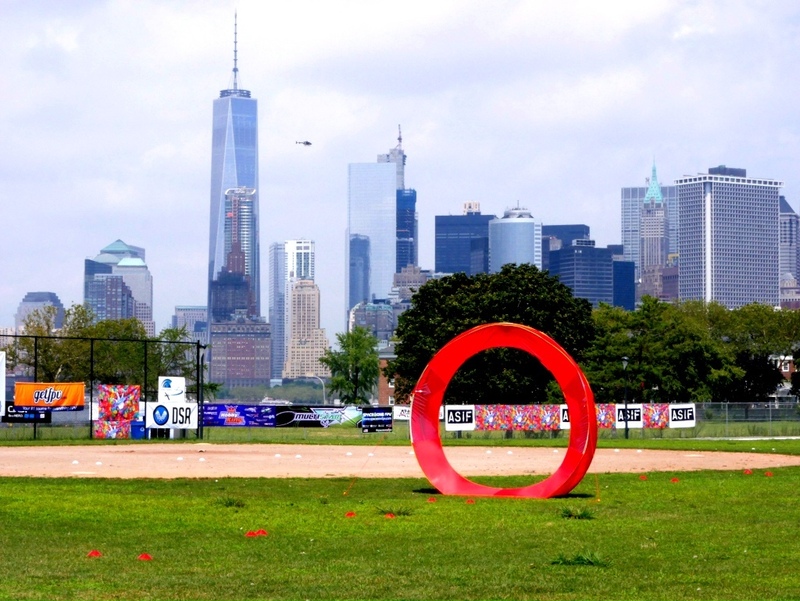 Although it was very hot, the weather was nice and the setting for this competition, with the New York City and Jersey City skylines in the background, was just spectacular. My time in New York City was limited. I could only attend the Saturday’s qualifying rounds. There were dozens of races on this day, both fixed wing and quad-copters. There were about a 12-15 sponsor, team, food and VIP tents lining the course. 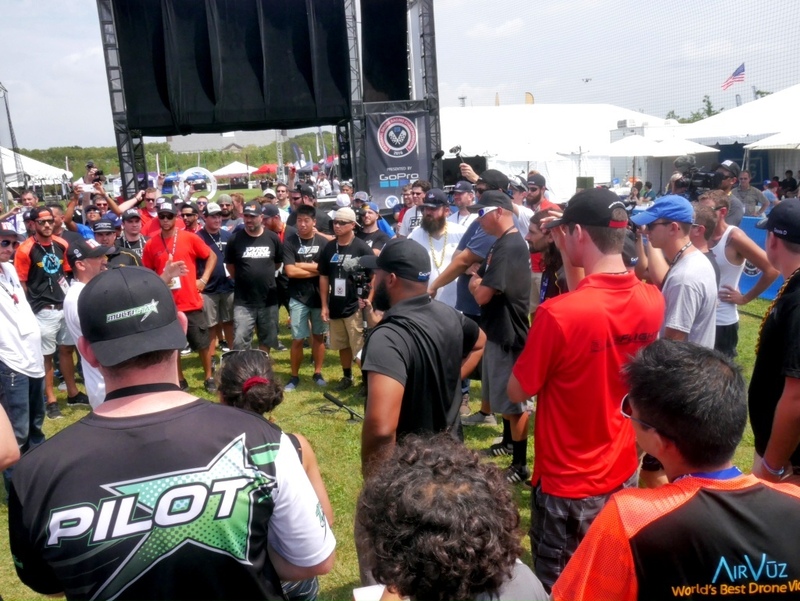 More than 150 pilots competed to make it into Sunday’s final events. The on-site crowd of spectators numbered probably around the 150-200, from what I could see in the stands and milling around. As a spectator, I found the races to be interesting and thanks to the seasoned race calling by Joe Skulley of FPV Racing Events, I found it easy to follow the action and keep up to speed on what was happening as I wandered the course. A large area was set aside for food, tables and displays to serve the needs to spectators. ESPN provided live streaming via ESPN3. A huge screen with the feed was visible from almost everywhere on the course. On Sunday, I caught portions of the ESPN feed while traveling, and although there were some technical glitches (could have been my wifi connection), I thought ESPN did a good job covering the race, adding some background dimension and commentary. Drone racing as a spectator sport will continue to evolve, as it has to this date, so I would expect more improvements and enhancements in future events. Next up: Drone Worlds in October on the island of Oahu. Pilots checking in to the Drone Nationals registration desk. Pilot briefing before the qualifying races begin. 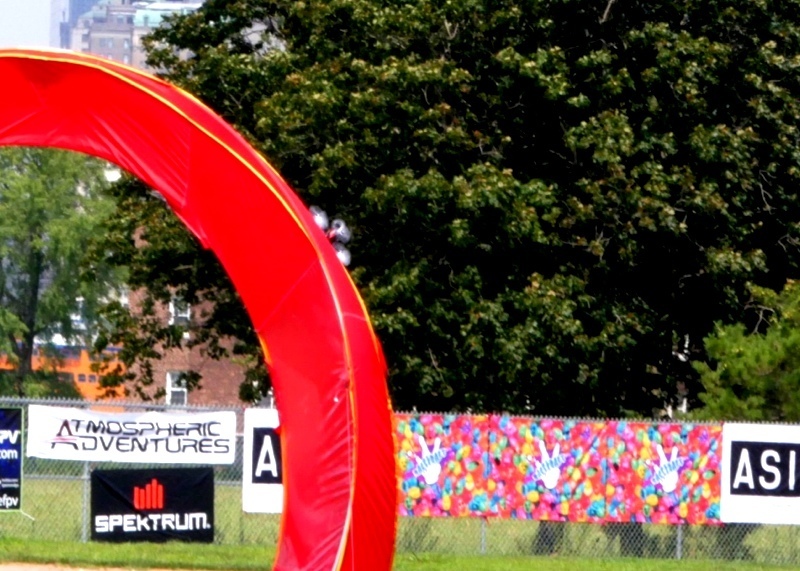 A drone peaks over the edge of the of the gates at the Drone Nationals. 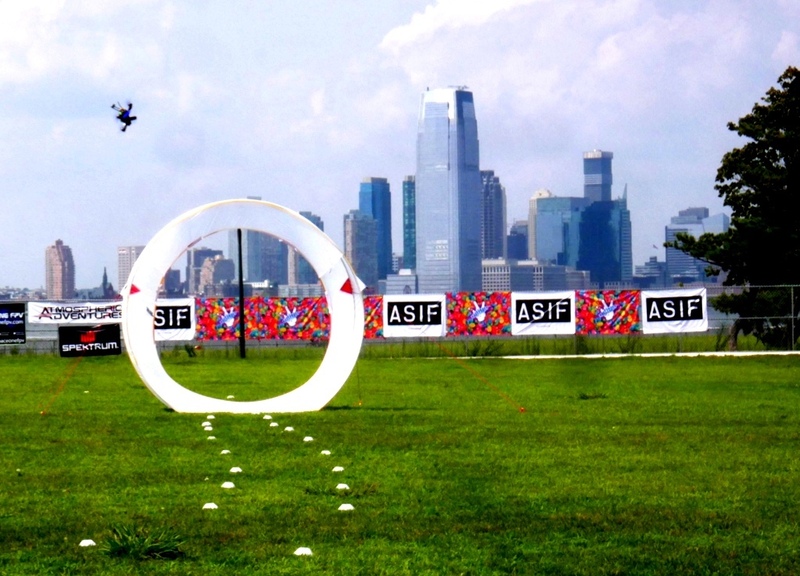 New York City skyline looms in the background of the Drone Nationals course.